Beyond the picture-perfect whitewashed walls and blue domes there us much to discover about Greece. 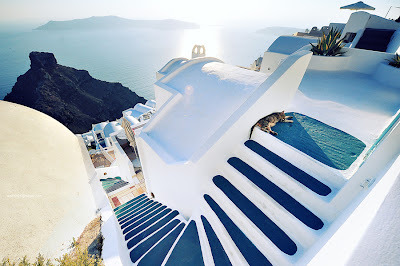 White & Blue is a new blog about Greece and its countless beauties. It is here to showcase what this diverse & beautiful country has to offer all year round. Its team is focused on discovering and sharing the natural wonders categorized in the four basic elements: water, air, earth and fire. You can find all these elements in countless places in Greece, from its historic cities, secret beaches, glorious islands, sparkling blue waters and stunning scenery. On this blog we will share as much as we can of this magnificent natural surrounding and fun and friendly culture of Greece. Beyond the blue domes and the whitewashed houses there lies a treasure trove of gastronomy, adventure, culture, nature, nightlife, history, romance, and wellbeing that must be lived – all wrapped up in white and blue; dive into Greece’s White & Blue.